Lux , lifeboy, Omo, Rin, Wheel, Fair & Lovely, Ponds, Vaseline, Lakme, Dove,Clinique addition Sunsilk, Pepsodent, Close up, Axe, Brooke Bond, Bru, Knorr, Maggi,Complan, Horlicks, Kellogs, Kissan, ITC products, Wipro , Hindustan Unilever, Dabur,India and PG-consumer products. moreover you need not to have an account or debit card for online payment.Payment will be on the basis on cash on delivery. We provide all these prducts and more at a discount of 2% on the MRP along with FREE HOME DELIVERY. The service is currently available only in MORADABAD,U.P.,INDIA. 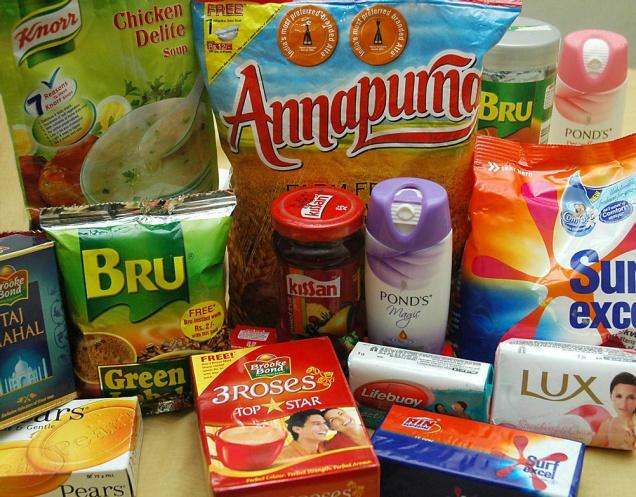 Consumer Goods (FMCG), also known as consumer packed goods (CPG) are known products which have a rapid turnover and relatively low cost. 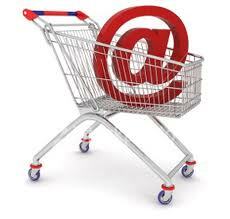 Consumers generally put less thought into the purchase of consumer goods it for other products. The consumer goods industry has experienced significant changes across India by 1990. Many players have faced serious problems due to increased competition from smaller, regional players and slow growth in different product categories. As a result, most companies were forced to sell their products, marketing, sales and service strategies for customers to renew, to strengthen their market position. At the turn of the 20th Century have changed the face of Indian industry of consumer goods. With the liberalization and economic growth, India, the customer experiences an increase in exposure to new domestic and foreign products through various media such as television and the Internet. Apart from that, has social changes such as increasing the number of nuclear families and the increasing number of working days in pairs, which contributed to increased purchasing power and the increase in private consumption in the Indian consumer. The realization of the growing awareness of the customers and the need to address the evolving needs and preferences required to comply with new lifestyles company, the consumer, the customer-oriented strategies. These changes have a positive impact, the rapidly growing industry of consumer goods. Increased availability of commercial space, the rapid urbanization and a skilled workforce has also promoted the growth of organized retailing. PUH to revolutionize the way the formats of the product, market, distribute and service the consumer goods industry with focus on rural markets, direct sales, creating new products, sales and service formats. The consumer goods sector also received a boost to the initiatives of the Government in Budget 2003, the creation of special zones in various parts of the country, the signatures collected by the outsourcing of manufacturing investments in the zones. Although the absolute value of the products from consumer products is relatively small, typically sold in large quantities and thus the cumulative profit on such products can be great. Unlike some industries, such as cars, computers and consumer goods carriers do not suffer from the growing mass layoffs if the economy begins to emerge. A person can buy a car is delayed, but not to get discouraged with the dinner. Unlike other sectors of the economy, the share of floating consumer goods consistently, regardless of the declining overall market, as they typically have more basic needs, such as luxury meet. The consumer goods sector which is growing at a rate of 9%, the fourth largest sector in the Indian economy and is worth Rs 93 000 crores. The largest contribution is, the sector accounts for 32% of the southern region of India. It is expected that in 2010 the area of ​​consumer goods worth Rs.143000 crore. The area is one of the most important sectors of the economy in India, offers a maximum of 4 million jobs. Personal care - Oral care, wash hair care (soaps), andToiletries cosmetics, deodorants and perfumes, paper (tissues, diapers, hygiene items) and maintenance of the shoe, the main stakeholders liver HindustanUni Limited, Godrej Soaps, Colgate, Marico, Dabur and Procter & Gamble. Home Care - Washcloth (washing and cleaning products), household cleaners (dish / cutlery / cleaner / toilet), air fresheners and repallants Inseticides Mosquito, metallic paint and furniture polish, the most important actors Hindustan Uni-Liver Limited and Nirma RicketColman. Packaged food and beverage brand - health drinks, soft drinks, Staples / cereals, baked goods (cookies, bread, pastries), snacks, chocolates, ice cream, coffee, tea, fruits, vegetables, make eating processed meat, mineral water, rice brand, a brand of sugar, the juice, the most important actors in the liver HindustanUni Limited, Nestle, Coca-Cola, Cadbury, Pepsi and Dabur. Spirits and snuff - Key players ITC, Godfrey Philips, UB. 1. We provide only packed products of standard quality. months of your 1st order whichever is later. money saved is money earned,so start saving your money. information amount is payable at the time of delivery. of your order you can return or retain it according to your wish. the time of delivery is not admissible and permitted. authentication of the order you should provide the same.